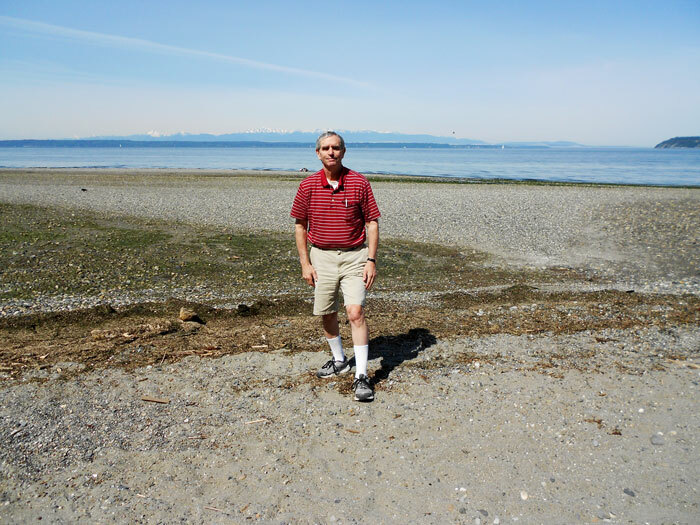 Mike Gold with low tide on Puget Sound. Photo credit: Nancy Gold. We’ve been reading a lot about a potential trade war between the US and just about every other country on the planet. At the very top of the list is China. At present, we purchase about $340 billion/year more from China than they buy from us. Over the long term, this simply is not sustainable (over a very long period of time, their economy will wind up owning ours). I’ll start with a much simpler example. Take Saudi Arabia. Over the past approximately 100 years, the US has purchased trillions of dollars (in today’s valuation) of Saudi oil. What happens is that the supplying country (Saudi Arabia) accumulates huge amounts of US dollars. Click on this link for a brief look at this subject. So we have Saudi Arabia, whose country really has not much of an industrial base besides producing oil. Now over the past 15 years or so, the US has developed fracking techniques, which have reduced our dependency on importing Saudi oil. This illustrates two major points about trade wars. First, over the long haul, economics always wins out. What this shows is that the US is a heavily developed economy that runs on energy. So it was, in fact, a matter of national security that the energy backbone of our economy was dependent on a foreign country. In fact a country run by a government that is not necessarily similar to ours in culture. So voila, over a relatively short period of time, we have developed a solution that unhooks us from the Saudis. Second, the Saudis have known for decades that eventually their oil reserves will run out. So they have been investing in infrastructure and other areas to develop their economy so as to not be dependent strictly on selling oil. Now as oil sales have dipped due to a glut of oil on the world markets, the Saudis have found themselves having to draw on their cash reserves in order to continue funding non-oil economic development. They are spending everywhere in anticipation of an eventual diminished oil revenue. They are, oh horror (in the view of Muslims), investing in Israel, although their official position is “we are not.” Israel has become the Silicon Valley of the Middle East. The Saudi example illustrates that economics truly does win in the long haul. A separate problem for the Saudis is that they hold a huge reserve of US dollars. Now they have been almost “forced” to invest in US Treasuries in order to put all those reserves to work for them. Let’s look briefly at China. The Chinese government has pushed an agenda to industrialize its entire country. To convert it from an agrarian economy to an industrial economy. How are they doing it? First, by building factories in what were formerly rural areas. They have many cities now (ten) with a population of more than five million and a total of 102 cities with over one million population. China has carefully kept its currency artificially low so that they can manufacture and sell their products overseas at competitive rates. This is one of the hearts of why President Trump is very unhappy with their trade advantage. This is, basically “unfair.” It amounts to dumping. By keeping their currency low, they can sell to us and others at prices we simply can’t match. That is taking unfair economic advantage of us and their other trading partners. Unfortunately, China also has very restrictive business rules about doing business in their country. One basically has to “share” the company’s own proprietary information in order to trade with them. So China, with a very long-term view, is trying as hard as they can to “steal” and then learn about these advanced technologies in order to replicate them in their own country. Again, inherently unfair. But they have a strategic long-term vision about their economy (about 100 years in length). So they are prepared to be patient, much more than we are. Now what can we do about it? We can impose tariffs on their goods, thereby “levelling the playing field.” China can reciprocate (which they have threatened to do). Now no one wins in a trade war. It harms the economies of both countries. However, if you look at the economics behind it, China simply can’t win this battle. Their economy would be devastated if their trade was significantly reduced. While ours would also be hurt (we wouldn’t be able to buy an IPhone for “only” $1000, as Apple would have to find another place to build them). Our economy is so large that within a few years we would recover through development of alternate trading partners. This is simply a case of “who flinches first.” So far, it appears China has flinched first. Stay tuned (you had better expect a long wait).